9 Awesome Disney Easter Baskets Your Kids Will Go CRAZY For! Home > Holidays > 2019 Easter Food & Craft Ideas > 9 Awesome Disney Easter Baskets Your Kids Will Go CRAZY For! 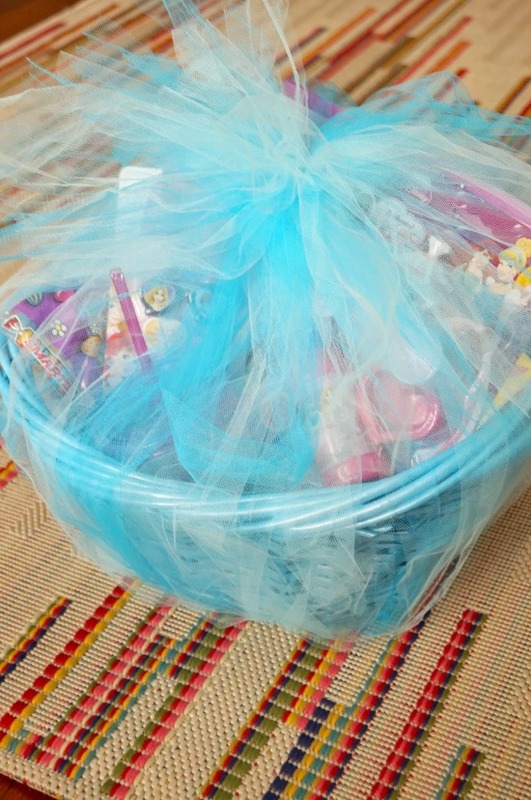 The kids will go CRAZY for these Disney Easter baskets! From Frozen to Princess Sofia, Marvel Superheroes and Cars we’ve got ideas for boys and girls! These Disney Easter Basket ideas are packed full of FUN! I know your kids are just CRAZY for all things Disney and Easter is looming so I thought I’d save you some time and brain power by tracking down some of the CUTEST Disney Easter Baskets! You know what – at any time of the year – these gift baskets would be a MAGICAL way to let the kids know you’re taking them to Disney World! 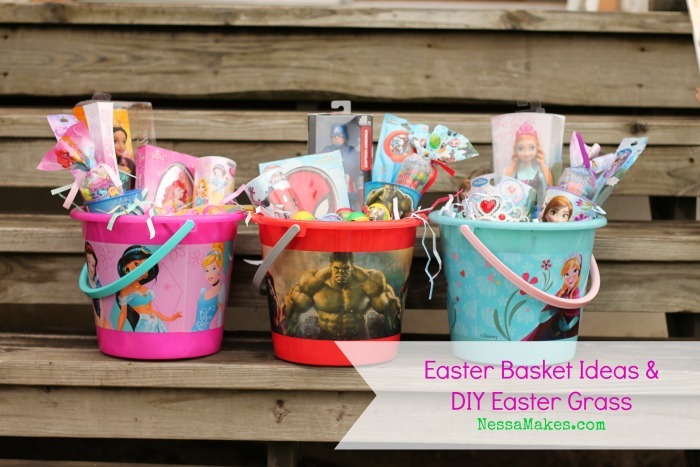 Nessa put together three FABULOUS Easter baskets with just one trip to Walmart! Love it when you can get everything you need right in one store! 8. What a great way to wrap up an Easter basket – in a tutu! This basket is filled to the brim with Disney Princess goodies, from bubbles, and bracelets to books and a new insulated cup! I love how it was wrapped up in a tutu! 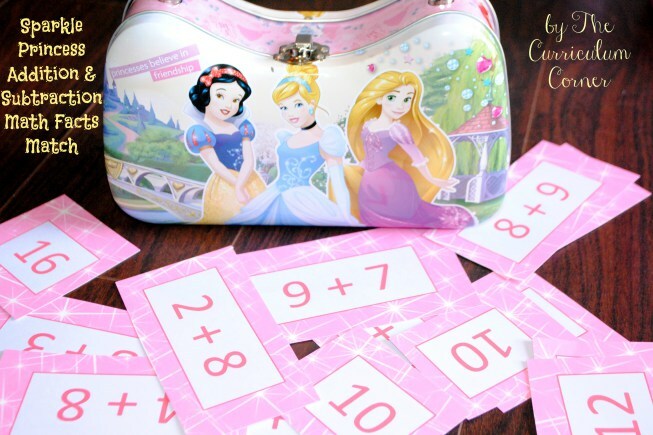 If you need some Disney Princess items for your basket you can find tons of ideas here. 7. 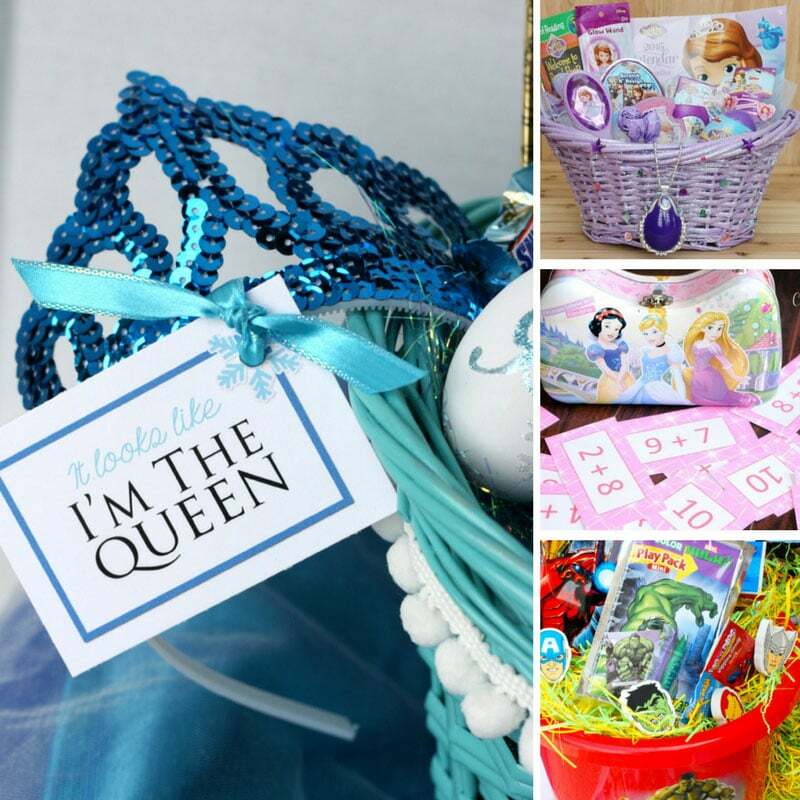 Loving these ideas for an Elsa Easter basket for a tween! Oh this one is just so blue and sparkly! 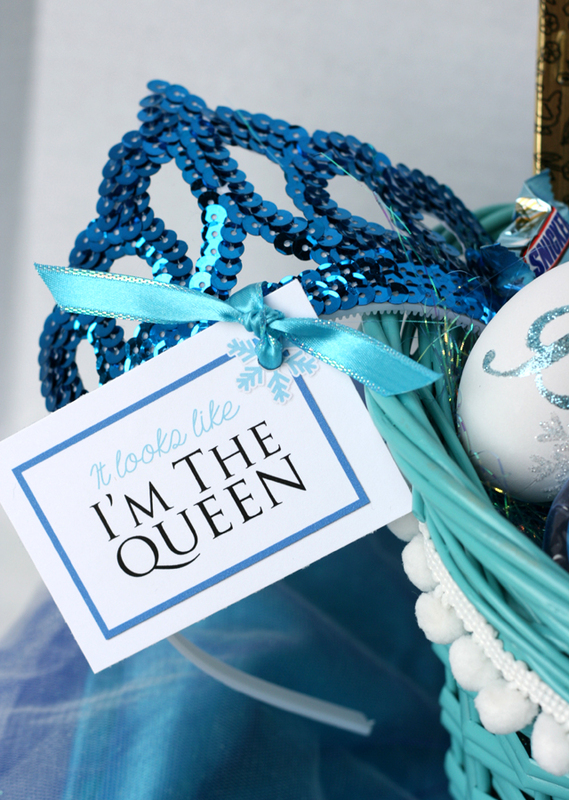 It really is the perfect inspiration for an Elsa Easter gift basket for your tween. Click through to grab the free printables that Nat has so kindly shared. 6. Easter baskets can be educational too! If you like your gift baskets to have an educational twist, check out these ideas from Christine who included some fun learning activities in amongst the princess treats! You can get a cute Princess purse here. 5. 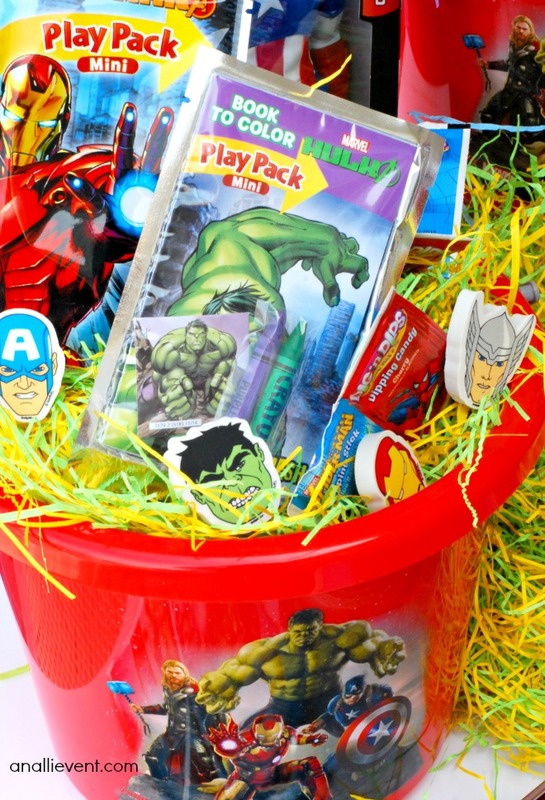 Some great ideas for a Marvel superhero Easter basket! Love these ideas for putting together a Marvel superheroes Easter basket. I like the idea of using a lunchbox for a basket! You can get a lunch box here. 4. 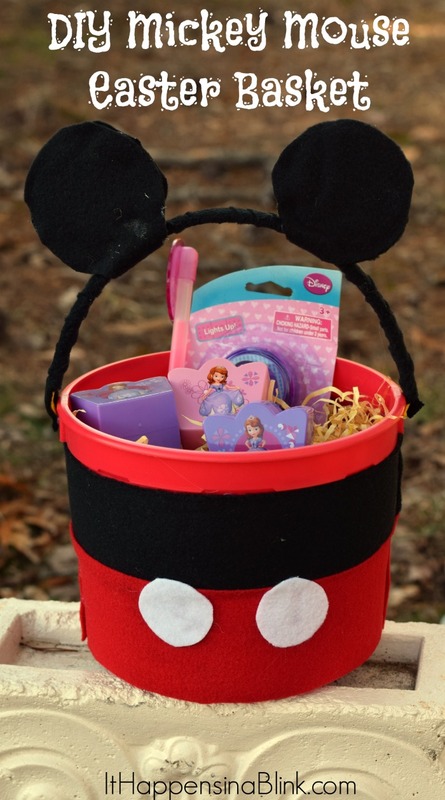 So many CUTE Disney ideas in these baskets! 3. These Mickey Mouse Easter baskets are SUPER easy to make! If you’ve got the time to get crafty why not make your own Easter baskets? These Mickey Mouse and Princess dress designs are ADORABLE and so simple to make too! A glue gun like this one makes crafting so much easier! 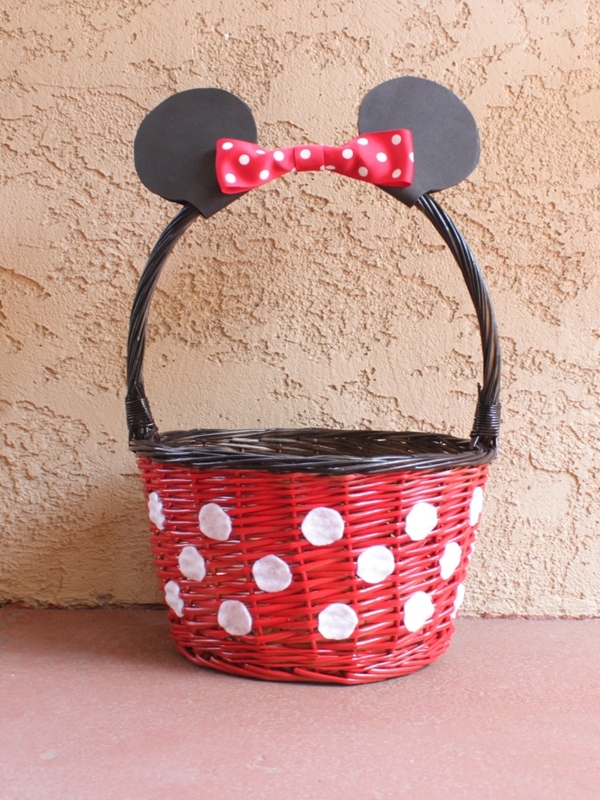 Oh these DIY Mickey and Minnie baskets are ADORABLE! Perfect for stuffing with all those Disney Easter goodies! 1. 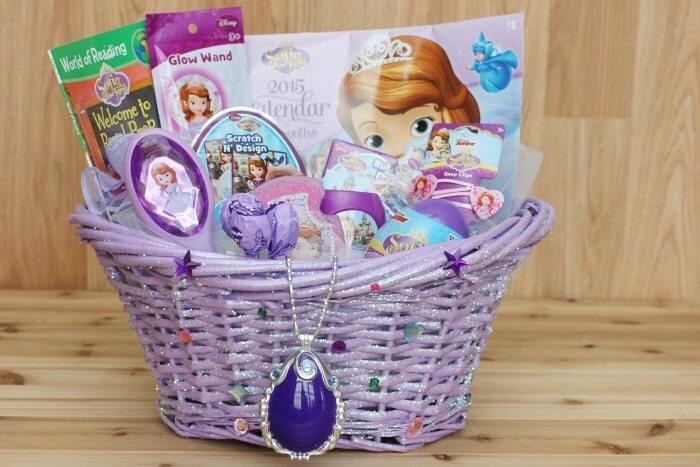 This Princess Sofia Easter Basket is GORGEOUS! Oh I LOVE this idea! Some glitter and jewels really help to theme this Princess Sofia gift basket, and the amulet is the perfect way to bring it to life! The kids will go CRAZY for these Disney Easter baskets right? So much inspiration here for boys and girls!